Mireille and Jean Marc Montegottero, well known for their artisan oil production, gave birth to this little gem: Vinaigre de Citron. All Huilerie Beaujolaise vinegars are naturally acidified: the highest quality fruit is macerated and fermented into wine, then the wine is left to acidify slowly into this show stopper of a vinegar. 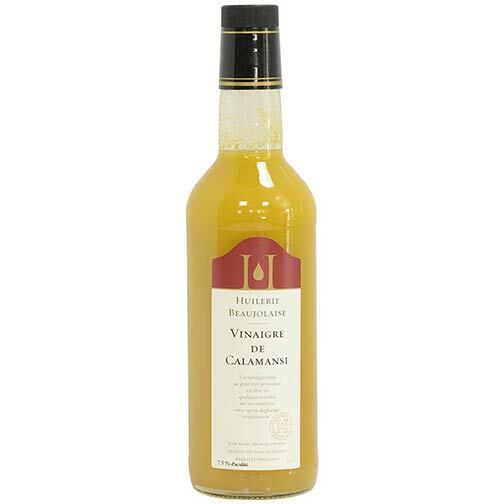 Made with 100% Indonesian Calamansi, this vinegar will enhance fish preparations, salads, even chocolates.